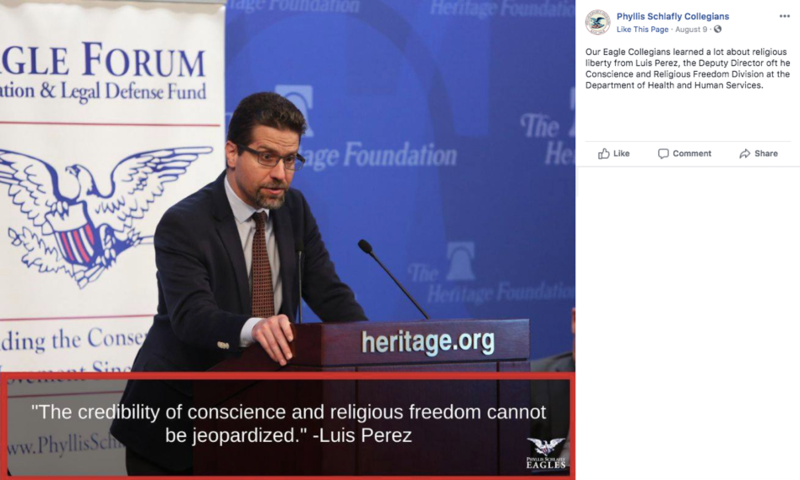 Luis Perez assumed the role of Deputy Director of the Office for Civil Rights' (OCR) Conscience and Religious Freedom (CRF) division with its creation in 2018. Luis Perez “heads up” the Office for Civil Rights’ (OCR) new Conscience and Religious Freedom (CRF) division, which was announced in January 2018: “The Conscience and Religious Freedom Division has been established to restore federal enforcement of our nation’s laws that protect the fundamental and unalienable rights of conscience and religious freedom…The creation of the new division will provide HHS with the focus it needs to more vigorously and effectively enforce existing laws protecting the rights of conscience and religious freedom, the first freedom protected in the Bill of Rights.” As of July 2018, the new division received more than 800 complaints, according to Perez. 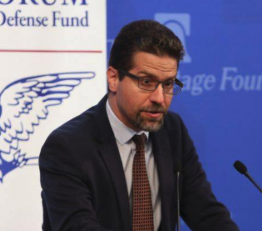 As its director, Luis Perez will likely have significant influence over the CRF division’s operations, including the criteria it uses to evaluate claims of health care-related religious freedom or conscience-based violations, its interpretation of germane rules and laws and how it goes about resolving alleged violations.